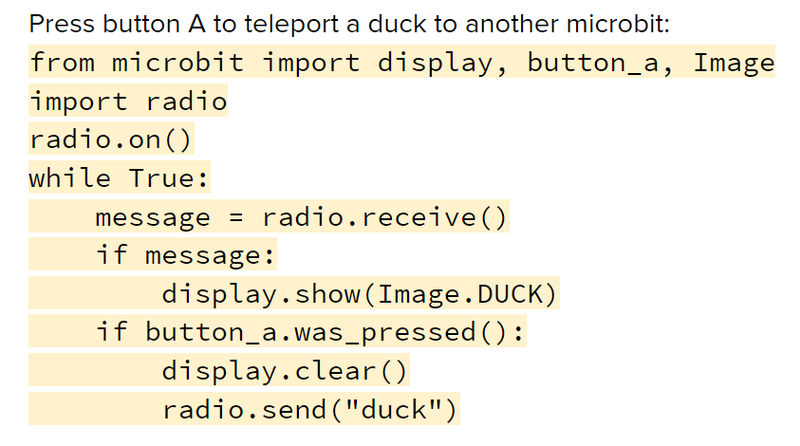 Wirelessly Teleport a Duck with the Micro:bit | @microbit_edu #microbit #radio « Adafruit Industries – Makers, hackers, artists, designers and engineers! 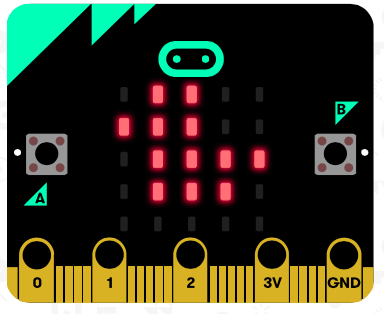 Cute and quick project from Giles at blogmywiki using two micro:bits to wirelessly send a ‘duck’ from one :bit to another. Fun! 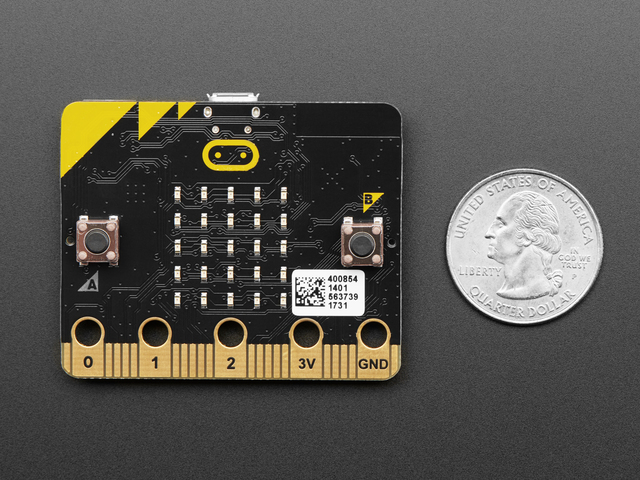 The full instructions are here (Google Doc) or read the blog here.